Yesterday, I posted about ‘MuscleFest’, the sixth event of the 2012 Commanders Cup at Marine Barracks Washington 8th & I. 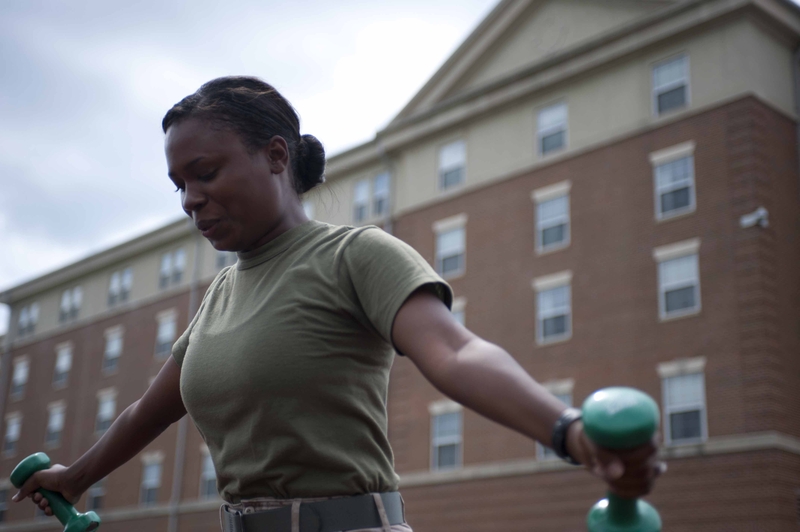 The event was part of a series designed to introduce Marines to a variety of physical fitness activities and enhance camaraderie through friendly competition. This morning I spoke with two Marines who participated in the event on July 30. Just 10 minutes before our conversation, Min was informed that he won the Masters Division for Marines 33 years and older. The Huntsville, Ala. native participated in MuscleFest in 2011 and said the preparation of knowing what to expect was definitely helpful going into this year’s competition. 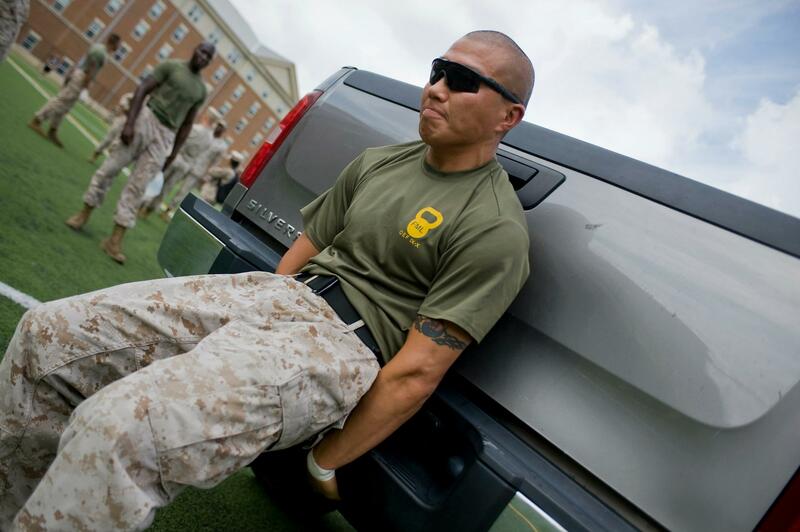 Min said the 2.25-ton pickup truck push (photographed below), was challenging but that a successful performance resulted from strong legs and approaching the challenge with ease. He said exercises that required Marines to carry or lift their own body weight were the most difficult and served as a “gut check”. As a certified CrossFit level 1 trainer and a background in lifting and gymnastics, Min now plans to set his sights on training for the Marine Corps Marathon later this year, “I’m just going to try and maintain a good eight minute pace and just beat Oprah’s time,” he said.